A former member of the enormously popular YouTube group Our Second Life—alongside his good friend Connor Franta—Ricky Dillon has connected with millions of fans worldwide, with no less than the New York Times featuring him in an article about the new generation of social media influencers. 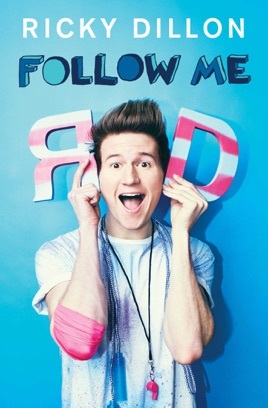 Now, in his very first book, Ricky takes you into his day-to-day world and shows them what it's like to be a young star with a number of different creative interests, from crafting weekly videos to collaborating with other YouTube personalities to honing his career as a pop musician. Ricky also takes you into the inner workings of his personal fitness regimen and how he maintains a program of health and wellness in all areas of his life. In addition to all of this, Ricky creates a set of challenges—from serious, contemplative tasks to the type of zany, hilarious stunts that he explores in his videos regularly—to create a book that is at once informative, inspiring, and incredibly fun. Follow Me captures the humor, creativity, and perseverance of one of today's most popular vloggers, with exclusive photos and additional insights that make this a must-read and must-have for fans everywhere. Simon and Schuster Australia Pty Ltd.